However, not all areas cut off from funding in FY16 were funded by the June 2016 budget action. State general revenues remain inadequate to cover many of the commitments previously made by the State. SB 2047 was approved by the House on June 30 by a vote of 105-4-1 and by the Senate on the same day by a vote of 54-0-0. The Governor signed the appropriations bill into law later the same day as P.A. 99-524. Cash-flow numbers reported by the Commission on Government Forecasting and Accountability (CGFA) and the Illinois Department of Revenue (IDOR) continue to indicate that the State is not currently bringing in enough general-funds tax money to meet even the shrunken spending commitments represented by SB 2047. The budget question is expected to be reopened in the November-December 2016 fall veto session. Full funding for schools in 2016-17 school year. 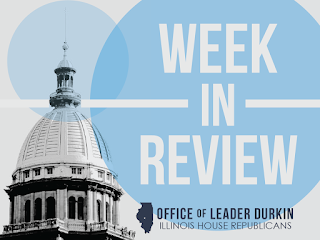 The stopgap State budget, enacted on Thursday, June 30, provided a full 12 months of funding for Illinois K-12 public schools. This plan will fully fund the foundation level for the first time in many years, ending the unfair practice of proration and will ensure that all school districts get at least as much funding from the State as they received last year. The school aid included both general State aid (GSA) and a series of categorical grants provided to many school districts to cover parts of the costs of mandates imposed by the State and other costs of school district operation. In addition, the FY17 K-12 education bill appropriated $361 million over what was distributed last year in FY16 for the 2015-16 school year. It also allocates $250 million for a new statewide equity grant that will be distributed to school districts based on the State Board of Education’s low income grant formula. The plan includes a $75 million increase for early childhood education, and avoids a state bailout of Chicago Public Schools. CGFA reports that corporate income taxes were key area of weakness in FY16. In their final month-to-month report on State revenues and cash flow in FY16, the Commission on Government Forecasting and Accountability (CGFA) pointed to corporate income taxes as an area where total revenues continued to come in at levels far below those projected by their economists’ final quarterly estimate. CGFA is a nonpartisan economic arm of the General Assembly, charged with the task of monitoring and interpreting the cash flows of the State with the goal of enabling the enactment of future balanced State budgets. While CGFA had generated numbers indicating that the Department of Revenue would take in $2,700 million in corporate income taxes in FY16, actual revenues were $2,334 million, a shortage of $366 million. The corporate income tax revenue shortfall accounted for more than 100% of the overall shortfall in true revenues below estimated revenues, which was calculated at $251 million. 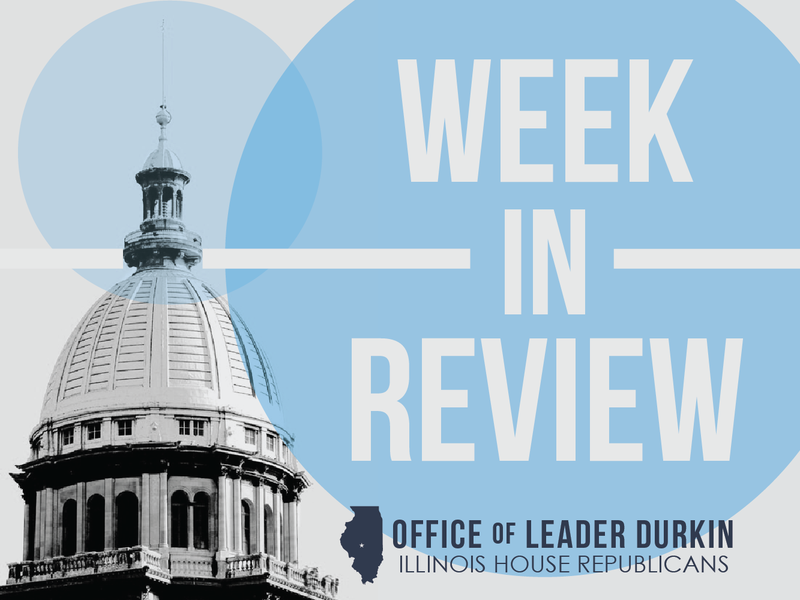 Revenue shortfalls of this type are blamed for part of the overall backlog of bills owed by Illinois and not yet paid, a number now estimated by Comptroller Leslie Geissler Munger at more than $7.7 billion. Some county fair funding provided for in stopgap State budget. One area of State of Illinois spending that was completely cut out in FY16, the fiscal year that ended on Thursday, June 30, were grants to Illinois’ county fairs. For a long period of time, the State has contributed to the success of these rural festivals in many ways. State money to county fairs includes payments to the premium funds used to award monetary prizes to competitors. A typical county fair competitor is a young adult showing a farm animal. Through 2014, these county fair prizes were quietly subsidized by Springfield, but in summer 2015 this money, which had not been funded in FY16, was cut off. The stopgap budget, approved last week by the General Assembly and Gov. Bruce Rauner, has appropriated State money for county fair premium fund payments for both FY16 and FY17. This should cover county fairs through summer 2016. Money was also appropriated to make up back payments to vendors at the Illinois State Fair in Springfield. Participants in the Illinois state and county fair systems are now looking at ways to redistribute the operations of Illinois’ agricultural-fair system in summer 2017 and future years in order to reduce burdens on taxpayers statewide. New runway-rotation system takes effect. The runway-rotation guidelines, which went into effect on Wednesday, July 6, are intended to create a more equitable distribution of the burden imposed by flight patterns of heavy jet aircraft into and out of O’Hare Airport during late-night and sleeping hours. The new guidelines have been approved on a test basis, with the test expected to last six months through the third and fourth calendar quarters of 2016. During this time, data will be gathered to indicate the relative success of the new guidelines in reducing the burden of aircraft operational noise. The revised guidelines were approved by local municipalities, the city of Chicago, and the industry as part of the voluntary “Fly Quiet” program. The testing of the new guidelines marked one of the most significant amendments to “Fly Quiet” since the creation of the O’Hare International Airport expansion program in 1997. Implementation of the new guidelines, even on a test basis, is seen as significant because it marks specific noise-reduction actions agreed to be the industry and intended to be carried out on a reasonably consistent and predictable basis. Up until now, “Fly Quiet” guidelines were published under standards of almost purely voluntary compliance. Pilots flying in and out of the airport were not supposed to fly or bank at certain angles or use their engines in certain ways, but there was no incentive for them to actually comply with these guidelines and O’Hare’s noise-monitoring equipment indicated widespread patterns of noncompliance. The runway-rotation system takes advantage of O’Hare’s large number of runways to spread out the international airport’s traffic on a week-by-week planning basis. One of the runways that will get frequent use is diagonal runway 14R-32L, which has been slated for eventual closure as O’Hare’s expansion continues. The new Fly Quiet guidelines were devised by consultants working under the direction of the O’Hare Noise Compatibility Commission, a consortium of local governments with jurisdictions affected by O’Hare International Airport, and have been approved by the Federal Aviation Administration (FAA). Key Affordable Care Act co-op operating in Illinois faces insolvency. Land of Lincoln Health, which believes it is the second largest provider of individual health care coverage under the Affordable Care Act (50,000 consumers enrolled), owes an eight-figure sum in risk adjustment payments based upon operations undertaken by the co-op and its competitors in 2015. The Illinois Department of Insurance has ordered the health insurance co-op to cease writing new insurance business. Acting Insurance Agency Director Anne Melissa Dowling has informed federal authorities that Land of Lincoln’s books need immediate action “to prevent an immediate liquidation” of the troubled insurer. The Affordable Care Act contains complex provisions intended to both encourage and discourage new entries into the ACA insurance market. In particular, complex subsections of the law encouraged the setup of health insurance cooperatives in many regions of the United States. Other subsections of the law created a convoluted system of “risk adjustment payments” owed by some insurers to other firms. Risk adjustment payments are supposed to provide compensatory benefits to insurers who have sick patients and present costly diagnostic codes. During the short period of time since the ACA went into full operation, the risk adjustment policy subsection of the ACA has extracted hundreds of millions of dollars in net payments from health insurance co-ops. More than half of the co-ops operating under the ACA (13 of 23) have gone under, and Land of Lincoln is one of the remaining 10. As threat of Zika increases, Illinois receives $500,000 federal grant. The grant payments are being provided from unused Ebola funds by the Centers for Disease Control and Prevention (CDC) to the Illinois Department of Public Health and the Chicago Department of Public Health. They are meant to cover short-term spending to enable these agencies to prepare for a possible spread of the virus in Illinois. The Zika virus, which is transmitted by mosquitoes, is widespread in many countries south of the U.S. border. It has been diagnosed in patients throughout the United States, typically in persons who have recently returned from travels to these countries. As of Wednesday, July 6, 1,123 cases of Zika infection had been diagnosed in the 50 states and reported to the CDC. Another 2,534 cases had been diagnoses in U.S. territories, mostly in Puerto Rico. The virus has been identified as a causal agent causing severe birth defects, including the condition of microcephaly. State museum facilities in Lewistown, Springfield reopen to public. The reopening followed a move to allow the charging of an admission fee ($5) on most adults seeking to visit the flagship museum in Springfield. The Dickson Mounds satellite museum complex near Lewistown will remain free to the general public at this time. The two museum complexes reopened on Saturday, July 2, after having been closed for nine months. The Illinois State Museum in Springfield contains comprehensive displays on the natural history and culture of Illinois, with a particular emphasis on Illinois’ prairie ecosystems. The Dickson Mounds Museum concentrates on the story of the Illinois River and river valley, with a particular emphasis on the Native Americans who lived in the valley and called it home. The museums were reopened after advocacy work by Representatives Tim Butler, Sara Wojcicki Jimenez, and Mike Unes. Work begins on new bike trail to connect Champaign-Urbana with greater Danville area. The Kickapoo Rail Trail will be built on a historic railroad right-of-way that once carried Abraham Lincoln to the White House. Expected to span 24.5 miles upon its completion, the trail will connect the east side of Urbana with Kickapoo State Park near Danville. Construction has begun on the first segment of the rail-trail, which will connect Urbana to the Champaign County suburb of St. Joseph, Illinois. The Champaign County portion of the future trail will be maintained by the Champaign County Forest Preserve District. The 7-mile segment to St. Joseph is being built with the help of a significant donation from sandwich franchisors Jimmy John and Leslie Liautaud.